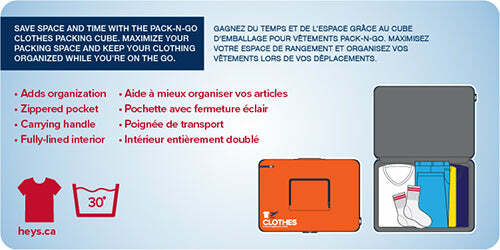 The Pack N’ Go Clothes Packing Cube comes with unique features that help maximize space and make packing fun. 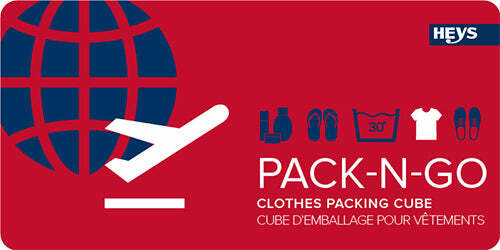 Available in a variety of colours, this packing cube is fully lined with a washable material, has an exterior pocket, and is a lightweight solution to organizing clothing while you’re on the go. Great for any trip, Pack N’ Go Travel bags help you save space and keep you stylishly organized. More Pack N' Go Accessories available here.